In this article we can tell you step by step about how to configure or setup your Domain Email with Windows Mail services, outlook or windows 10 mail. 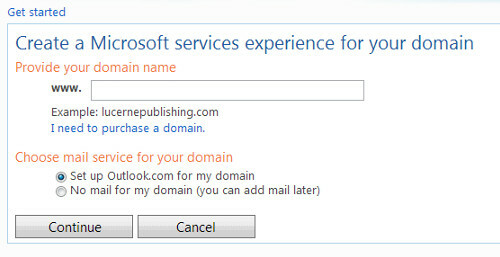 Step 3 ⇒ After login you must create an MX record through your domain registrar. Priority Higher value than existing records, or Low priority. To federate Messenger with other compatible networks, you need to create the following SRV record in DNS.